With a stay at Ming Shou Boutique House in Phuket, you'll be within a 5-minute walk of Chinpracha House and Thalang Road. Featured amenities include a 24-hour front desk, laundry facilities, and coffee/tea in a common area. Located in Sam Chuk, Punpisa Resort 2 is within a 10-minute drive of Sam Chuk Old Market and Wat Nang Buat. Free self parking is available onsite. 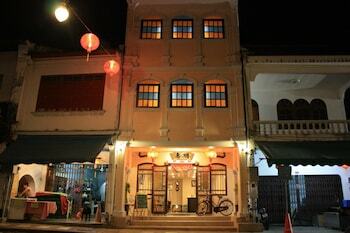 Located in Trang, Nokhook House Trang is within a 15-minute walk of Trang Clock Tower and Cinta Garden. The front desk is staffed during limited hours. With a stay at Pai Anya Resort in Pai, you'll be within a 10-minute walk of Pai Hospital and Wat Luang. The front desk is staffed during limited hours. Free self parking is available onsite.